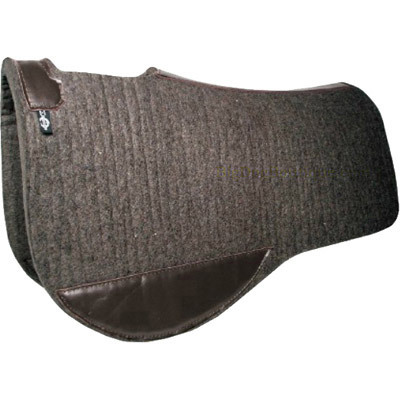 This pad is shaped for a cooler fit and designed for comfort and closer connection with your horse. 1/2" thickness makes it perfect for maintaining a close connection with your horse, or for layering under a blanket. 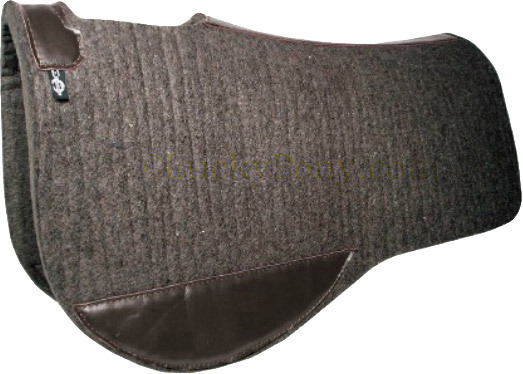 Wool felt is ideal for saddle pads because the natural fiber allows air to pass, while the pile is dense enough that it cannot be crushed like foam or synthetics. Includes brown wear leathers. Black leathers available on request. Choose from 28" spine and 32" drop or the larger 30" spine with 32" drop. Contact us for custom sizes.